A whole 9-days indulging the luxury lifestyle of world-leading mega motor-cruiser SeaDream II in June of next year, will embrace a half-dozen Greek ports and islands renowned for their archaeological treasures including sites for some of the earliest Olympic Games, historic Byzantine period ruins, and tiny little-known tourist gems in the renowned Cyclades Islands. You'll quickly have such names rolling off your tongue as Delphi, Olympia, Sparta, Paros, Parikia, Sifnos, Hydra… and come home boasting of transversing the 6.4km Corinth Canal begun by Emperor Nero in 67AD, but not completed until 1893. There's even a day at Sarande that's one of the greatest classical cities on the Albanian Riviera, with an optional visit to the nearby 2,500 year old ruins of UNESCO-listed Butrint. 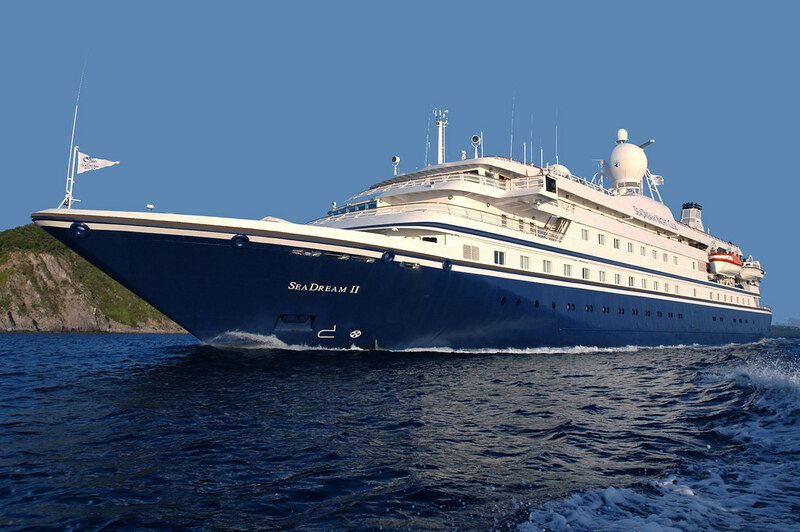 SeaDream II that has just 56 staterooms for a maximum 112 guests served by 95 crew, will sail this unique 9-day roundtrip voyage from Athens' port of Piraeus on June 18 2016. Its priced from US$6548pp twin share, including drinks from the open bars, wines with lunch and dinner, power and sail water-sports where permitted, onboard gratuities, and Government charges and taxes. And there's no call for formal wear – smart casual being the SeaDream norm at dinner.